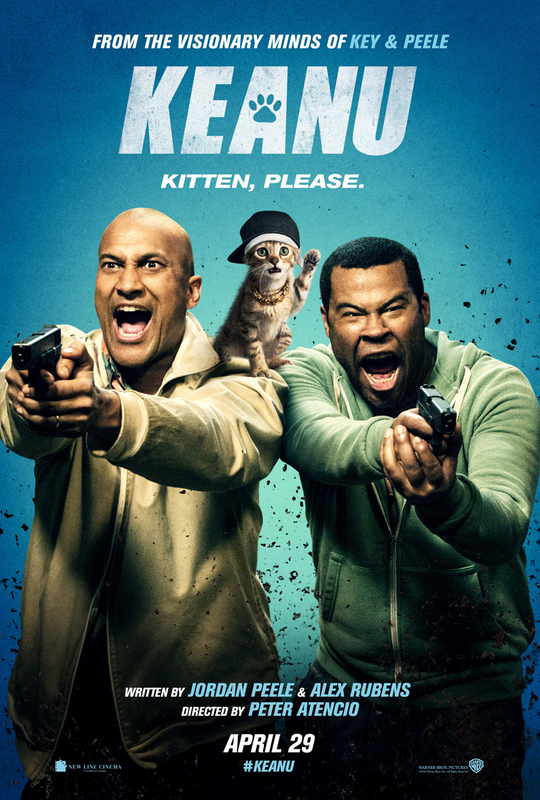 ‘Keanu‘ is the perfect summer movie: An over-the-top fish-out-of-water/buddy-cop story, action-packed gun fights, a token white guy, Method Man, Key, Peele, and 7 stunt-kittens. The premise is pretty simple: in a case of mistaken identity, a man’s cat is stolen. The man (and his buddy) go on a search, pretending to be hardened gangsters, to get the kitten back. Predictably, the plot points are pretty ridiculous. A couple of upper-class, “soft” black men have to go deep into the gang-life underground of L.A. to get this cat back. Fortuitous events allow them to play off being a set of mythical, revered gangster that everyone in the gang world know as vicious, cold killers. Unbeknownst to them, those same stone-cold killers catch wind of the men pretending to be them, and come hunting. Cheddar, played as the straight-man, is sufficiently played by Method Man of Wu-Tang Clan fame. I kept hoping for a cameo by his ‘How High‘ counterpart, Redman, or fellow band-member Rza, but it either never came, or I missed it. Will Forte’s white chocolate thug, Hulka (what an odd name), is the catalyst to our main character’s, Rell and Clarence (played by Jordan Key and Keegan-Michael Key, respectively) search. The supporting cast features Anna Farris (playing ‘Anna Farris’), Tiffany Hadish, Nia Long, Rob Huebell, and the fantastic bit-part actor, Luis Guzman. During one of the more hilarious scenes, there’s even a cameo from Mr. ‘Matrix‘ himself, Mr. Keanu Reeves. It’s not even heavy-handed or predictable. The setup pays off fantastically, and is good for one the better belly laughs in the movie. If you loved ‘Key & Peele‘ during it’s 5-year run on Comedy Central, it’s as funny as any of their bits. I seemed to recall the original promotional material, where each man essentially played this part, sans kitten. They’ve been honing their craft since their MADtv days, and it translates to a lot of fun and laughs on the big screen.